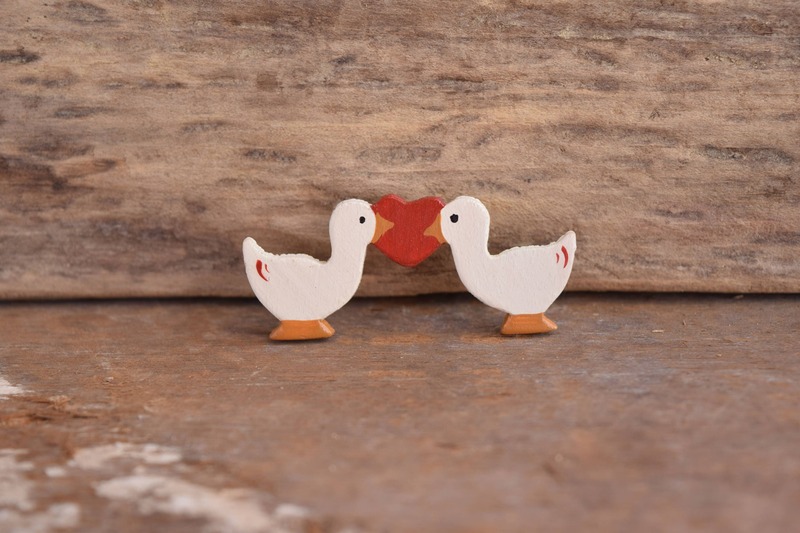 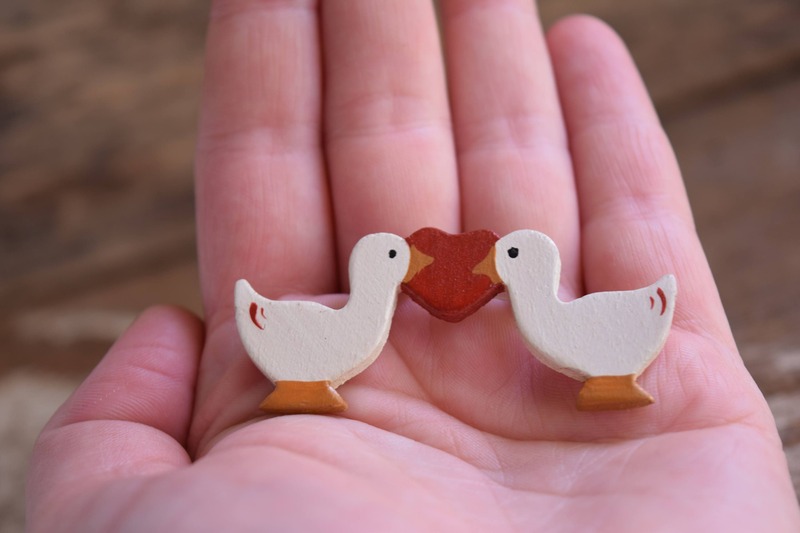 This adorable brooch showcases two geese in love! 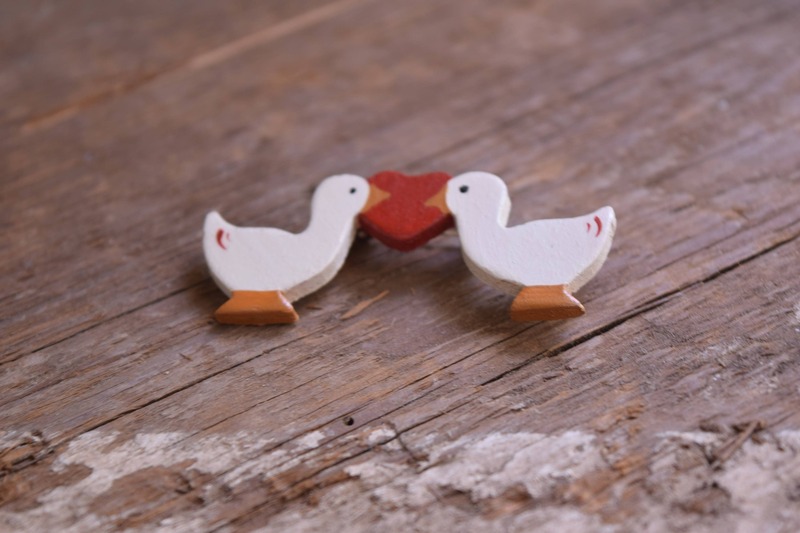 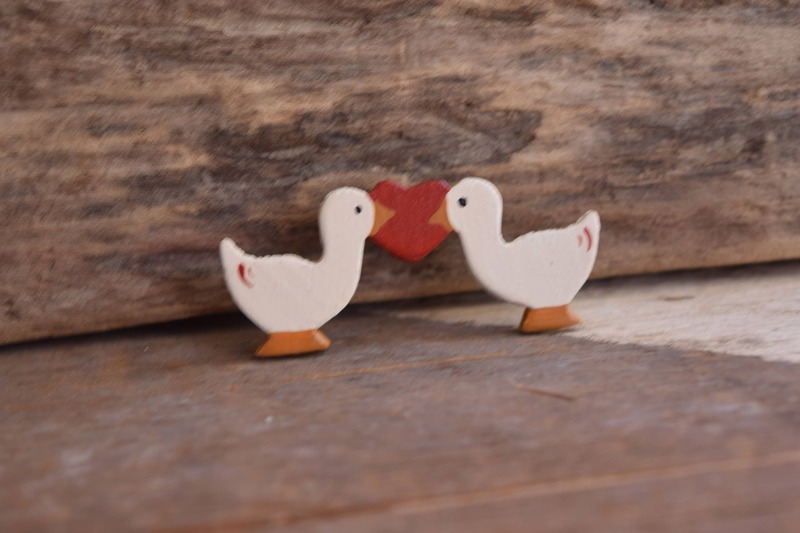 IIt is hand painted, lightweight wood and is perfect for a Kitschy style, valentine's day or your favorite goose lover! 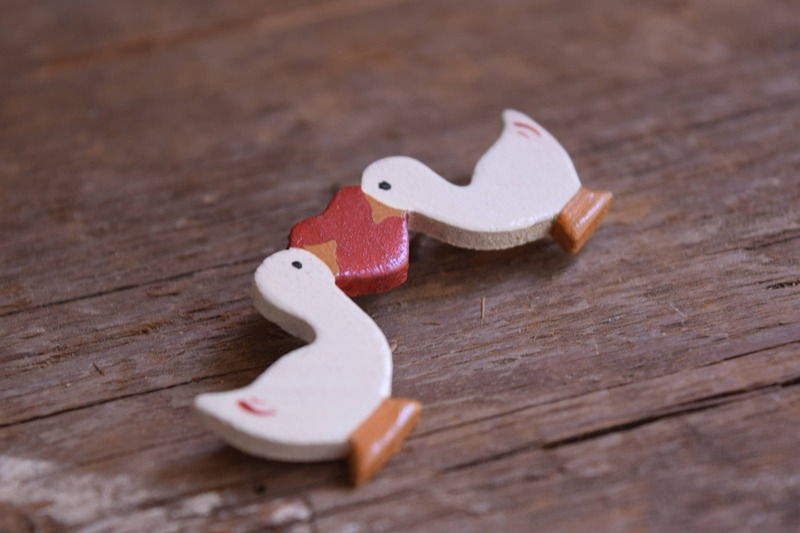 Add it to a cardigan, dress or bag for a sweet and adorable accent. 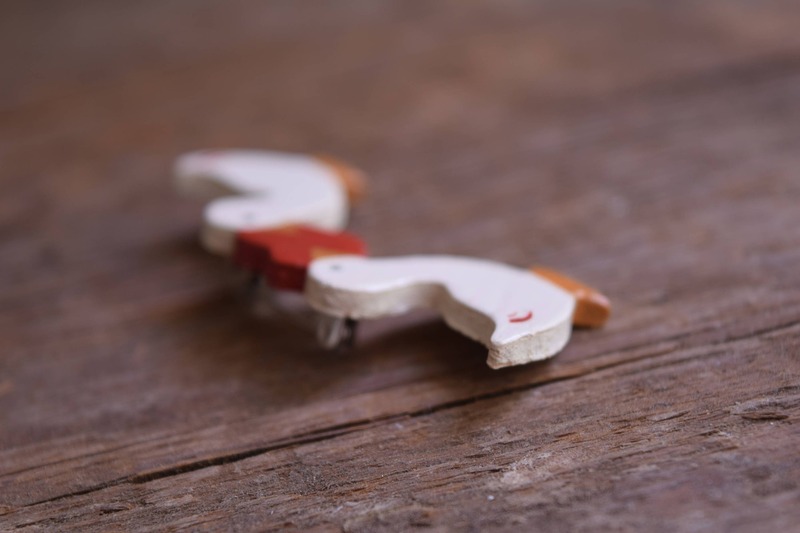 Condition: Great handmade vintage condition. 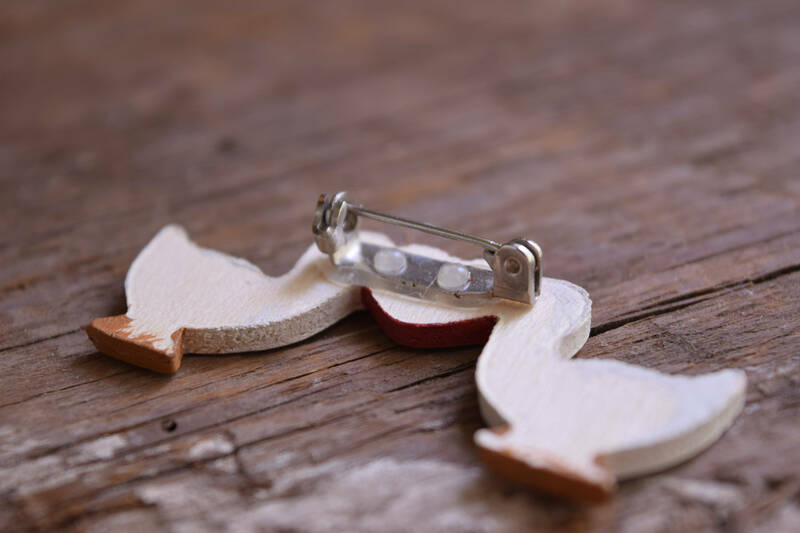 Clasp in in working order, light surface wear from age and light use. 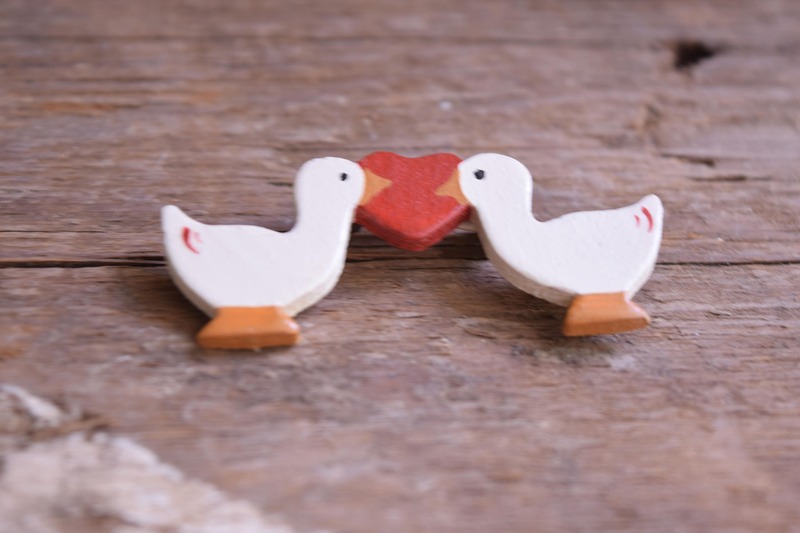 Please know colors may vary with device, screen or settings.